Sarah Dragswiek and her family give up their airline seat in exchange for a promise of a refund and a voucher for a new ticket. But when the airline refuses to keep its word, what can they do? Question: My husband, two-year-old son and I recently flew from Chicago to Phoenix on Spirit Airways. Before we took off, a flight attendant approached our seat to tell us that there was a problem with one of the seats, and that another passenger couldn’t use his seat. We were offered a refund of our son’s ticket and a free round trip voucher if we would hold our son on our lap in order to free a seat for the gentleman whose seat was not usable. We agreed to this, and the flight attendant and gate agent (who had boarded the plane to help resolve the situation) told us that we should talk with the gate agents when we landed in Phoenix to claim our refund and free voucher. “And if you’re in a hotel somewhere and your flights change, how are you supposed to do that?” he asks. Well, there’s a silver lining for printer-less passengers. 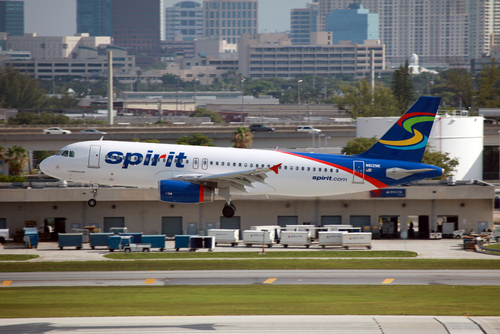 Until next year, they can use one of Spirit’s airport kiosks to print their paperwork at no extra charge. After June 26, 2012, it’ll cost $1. But Tucker is essentially right — if you don’t have a PC, you’ll have to pay.